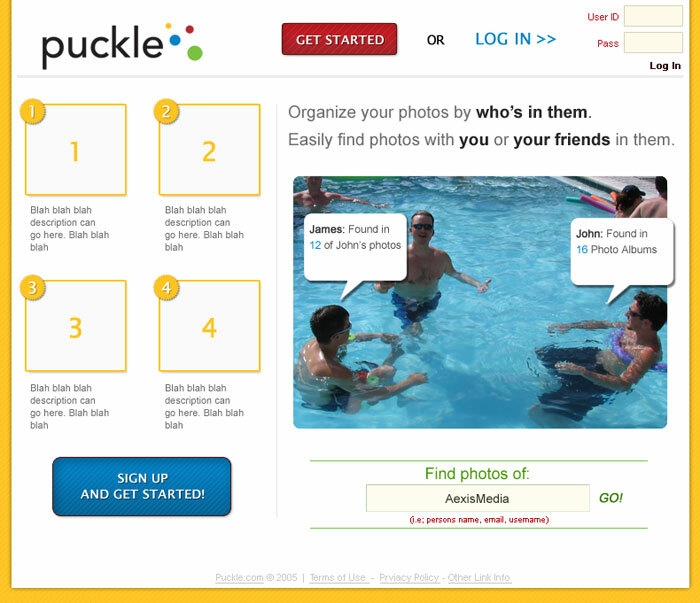 This is 1 of 2 mockups I created for Puckle. 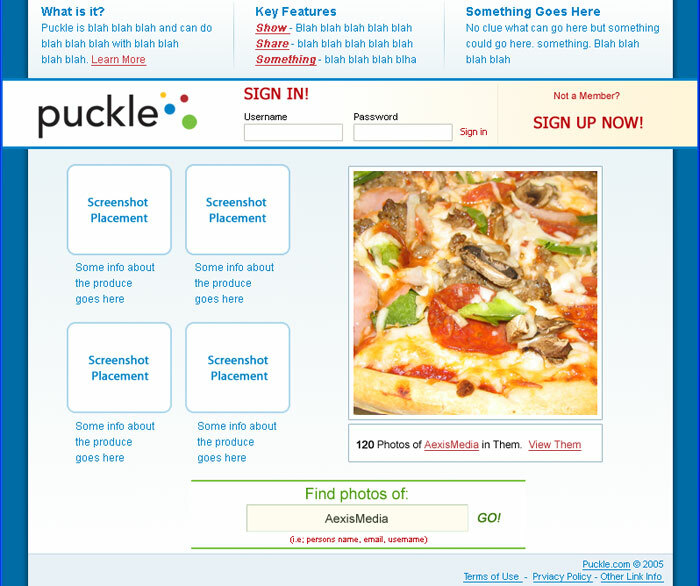 This is 2 of 2 mockups I created for Puckle. I was approached to work on Puckle several years ago. The intent of the website was to provide an image search, similar to Flickr, but was based on WHO was in the pictures. It was an interesting concept, but I don't believe the site ever came to life. The designs only made it halfway and the project ended.